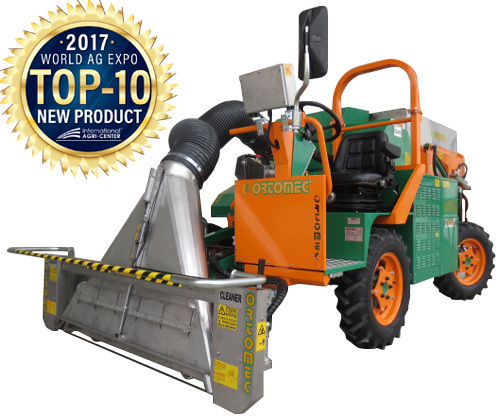 Cleaner 2 is a self propelled bed top cutting and vacuuming machine that can perform several functions, thereby increasing profitability of leafy crops. The Cleaner 2 features a high power vacuum system that can be used without engaging the cutting mechanism. 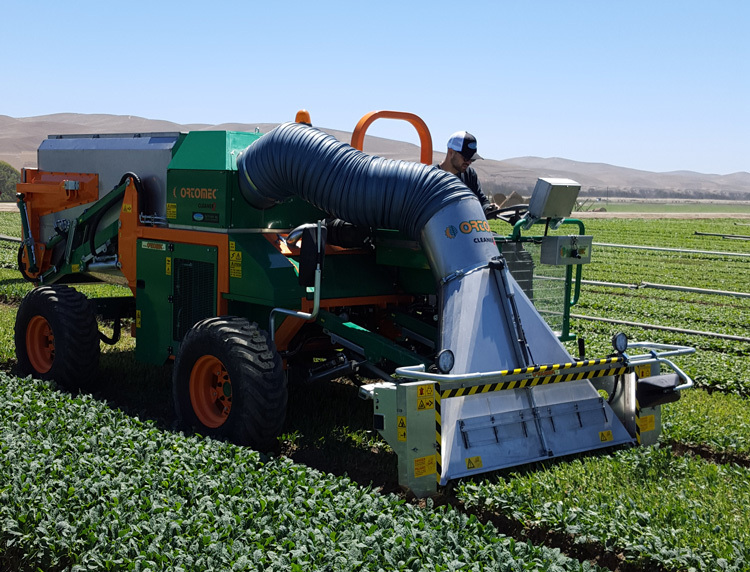 Utilizing only the vacuum function, fully grown beds can be vacuumed prior to cutting, removing the lightweight field trash that can plague leafy crops. Organic and inorganic matter like plastic film, straw, decaying leaves, bugs, etc., can be removed just prior to cutting, greatly increasing the value of the presently harvested crop. In crops that are grown to be harvested twice, the Cleaner 2 vacuum function can remove decaying leaves, insects, and other lightweight field trash remaining after the first harvest. Any uncut product missed during the first harvest (especially prevalent along bed edges) can also be cut and removed with the Cleaner 2, ensuring a more uniformly grown, higher value crop for the second harvest. Normally, fully grown unharvested crops are cut down with mower-type machines that can damage the crop, and can leave behind a field that needs to be cleaned with separate equipment. 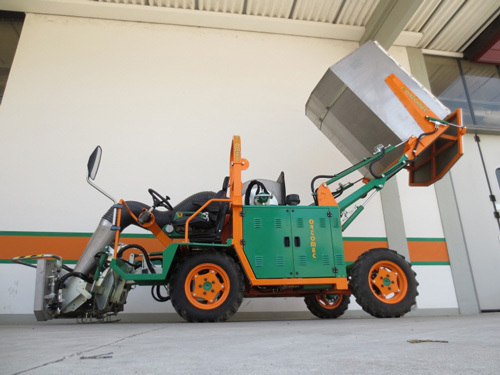 A single operator can employ the Cleaner 2 to cut, vacuum, and dump product in a single pass. This not only cleans trash out of the field, but leaves the field ready to grow for a possible future harvest. Cab enclosure for operator comfort and washdown protection. Cleaner 2 features a hydrostatic dumping system. 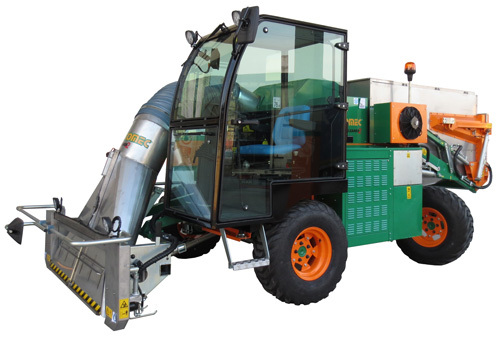 The self-propelled Cleaner 2 is ideal for open field or greenhouse use.